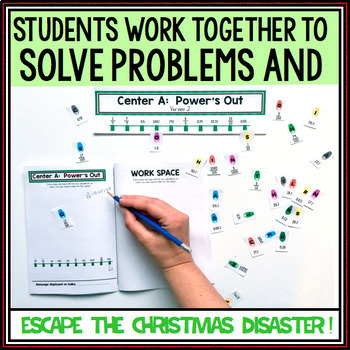 This escape room activity is an exciting and engaging way to review or practice various math concepts in any math classroom! All contents are appropriate for grades 6 and up! As head elf at Santa's workshop, you are feeling the pressure to get all of the gifts assembled, wrapped, and organized in time for the big night. Suddenly, one morning you find the power cut off and discover someone has sabotaged Santa's workshop! A large note taped to the wall reads, "A ha ha! It is I, the 'South Pole Mole' that has destroyed your little operation here! For too many years I've been on the naughty list and not had Christmas. Well now everybody's on the naughty list and no one will have Christmas. A ha ha ha!" As head elf, you need to fix this mess...and escape the Christmas disaster! 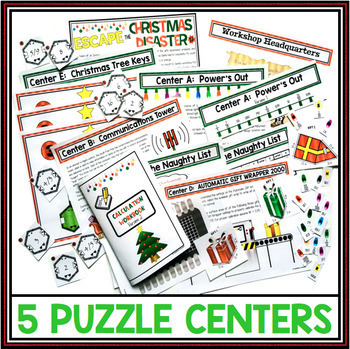 5 holiday themed work centers with various puzzles students must decode and work through to escape the "Christmas Disaster". 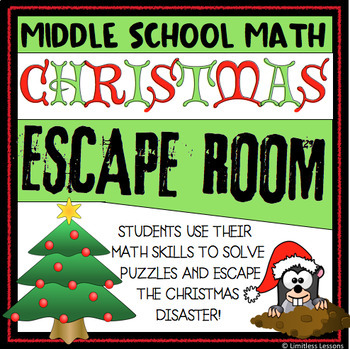 Excel solution file for students to enter final results to "escape"
This escape room is designed to last one full class period and the complexity of decoding the puzzles is designed to challenge and engage all students in middle school math classrooms. This activity offers two versions of some centers: Version 1 = Beginner and Version 2 = Advanced. 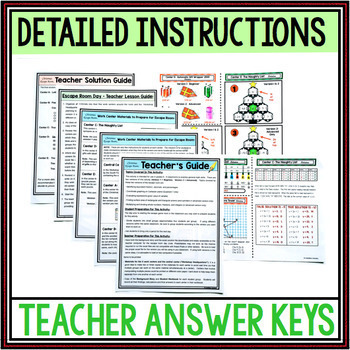 This allows the opportunity to differentiate across the classroom or to use with multiple grades. Teachers can chose to use either one or both versions with their students. Simply print and cut out the materials and you are ready to set up your escape room. The only additional materials needed to complete this activity is student access to a computer (only one computer needed for the entire class). Note: Computer must be able to access Microsoft excel. Computer must be a desktop or laptop computer as the file used in this escape room requires enabling macros, which is not compatible with iPads or other tablets. Looking for more escape rooms? Click the links below to preview other math escape rooms or visit my store for a complete list! ClickHERE To Receive Free Resources and Teaching Tips From Limitless Lessons!